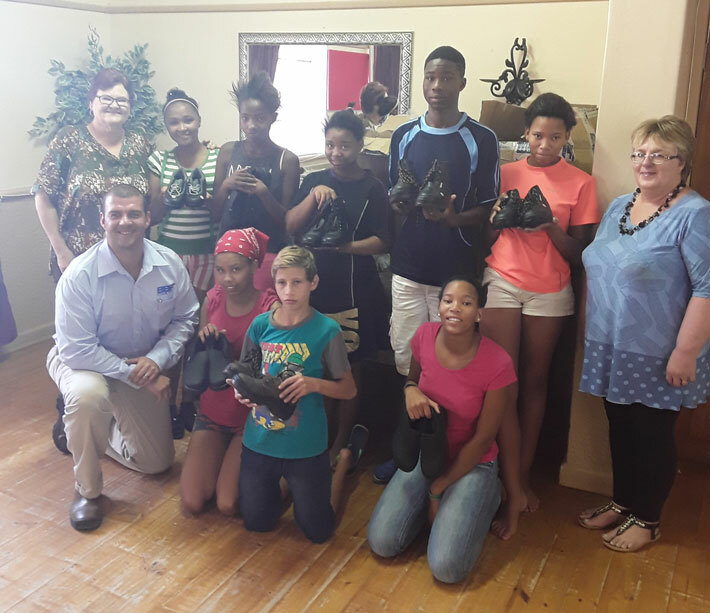 BBF Safety Group, South Africa’s largest manufacturer of Safety Footwear, was pleased to recently donate much-needed shoes to the Caritas Child and Youth Care Centre in Kimberly. Crystal Van Deventer of Pienaar Bros in Kathu – one of BBF Safety Group’s distributors – reached out to the home to find out more about the work that they do and what donations they most urgently need. On seeing that shoes were on the list, Crystal immediately reached out to BBF Safety Footwear. Moved by their exceptional work, BBF donated 63 pairs of Beier safety boots to the Caritas home. The children have been taught to polish and look after their shoes to keep them in tip top shape and, with the Beier shoes being exceptionally comfortable and durable, they should get lots of wear out of them. ‘Caritas’, the Latin word for ‘love for all’, is a well-fitted name for the Child and Youth Care Centre. The registered non-profit organisation provides a secure environment to 80 traumatised children from the broader Northern Cape Region. Here, the children receive love, care and development of their abilities, with the aim of assisting them to reach their full potential. External social worker intervention strives to accomplish eventual reunification of children with their families. The home is currently in dire need of mattresses, sports togs, school backpacks, non-perishable groceries and cleaning supplies. For more information on how you can assist with donations, please contact pat@caritas.org.za.